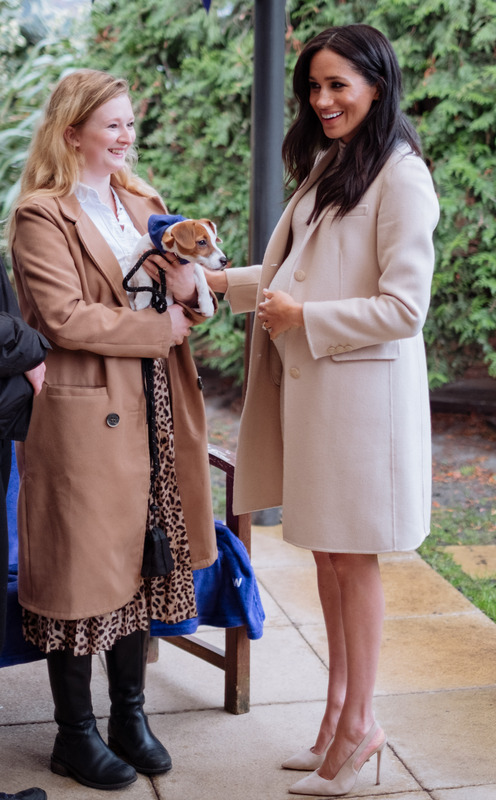 The Duchess of Sussex visited animal charity The Mayhew this afternoon, in her first visit as Patron. 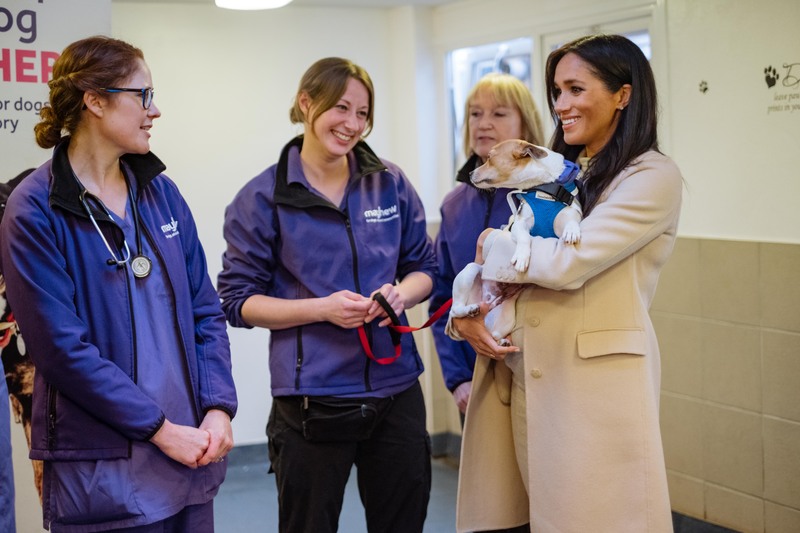 Whilst Her Royal Highness was there The Duchess met staff and animals, to learn about the charity’s work in improving the lives of cats, dogs and communities in London and internationally. Mayhew’s work now extends beyond rehoming animals - the charity provide pet refuge services for owners in crisis, support the homeless community and Mayhew community vets provide services such as neutering and chipping at low cost. 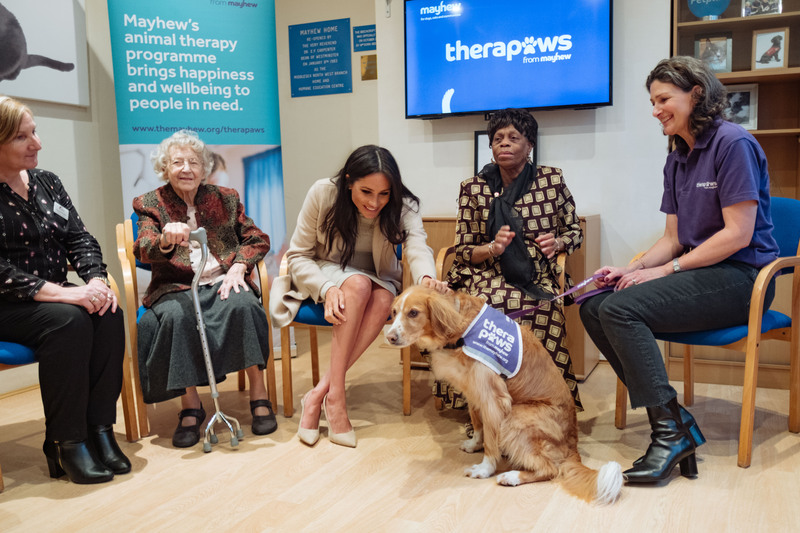 Mayhew, which was founded 130 years ago, aims to “promote animal welfare by delivering a broad range of community-based veterinary, care and education services in the UK and overseas.” Read more about the charity here. The Duchess met former Mayhew resident Maggie (previously known as Truffle), with her new owner Emma. The Jack Russell puppy was rescued from a suspected puppy farm in October last year. The charity works in Afghanistan, Georgia, Russia and India to improve the lives of stray animals, pets and their owners. Mayhew International’s work covers a broad spectrum and includes providing training to help improve veterinary standards. Find out more about The Duchess's work here.